Christmas morning at our house would not be complete without CHRISTMAS BREAKFAST CASSEROLE! I’ve made this delicious dish for decades! 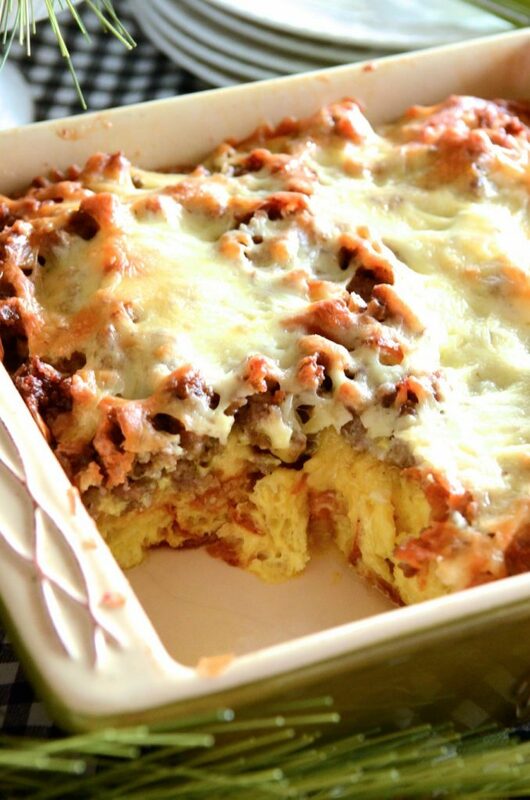 I’m sure most of you have had this scrumptious eggy-cheesy-sausage concoction… yummy! At our home Christmas Breakfast Casserole makes an appearance at every holiday, not only Christmas! But at Christmas it’s the star of our brunch table! I’ve changed the original recipe just a tad and added toasted croissants instead of white bread and some savory onions. It does make quite a difference! I also use half and half and it tastes quite decedent! This year I am making Christmas Breakfast Casserole in two deep 8×8 pans. It rises and puffs up high and light. This recipe is not rocket science you you can adjust it. If I could choose, I’d also add grilled red pepper and/or broccoli, but I don’t want a family mutiny on my hands! So, here is the FAMOUS STONEGABLE CHRISTMAS BREAKFAST CASSEROLE just like I served it 25 years ago!!!!! A hearty make ahead egg and sausage casserole. This recipe is not rocket science, so adjust it to your family's liking. We have this EVERY Christmas morning! Make this casserole the night before you want to cook and serve it. Cut croissants into 1 1/2 inch chunks. Put them on 2 large rimmed baking sheets. Bake until slightly golden brown, about 15 minutes. Meanwhile, in a large pan add the sausage and cook it over a medium heat, breaking the sausages into small pieces. When the sausage is completely cooked remove it to a bowl. Add the onions to the sausage drippings and cook until translucent, about 4 minutes. Remove the onions to another large bowl. Discard the drippings. To the bowl that has the onions add the eggs and whisk well. Add the milk, salt, pepper and hot sauce to the eggs. Whisk until incorporated and light making a custard. Crumble the sausage over the mixture and then sprinkle over the cheese. Gently push all the ingredients down so they are soaked with custard. Wrap the pan in foil and refrigerate overnight. The next morning preheat the oven to 350 degrees. Remove foil and bake for 1 hours or until the center of the casserole is set. Remove from the oven and rest for 10-15 minutes. Lightly tent with foil. Other veggies can be added to this casserole along with the onions such as peppers, asparagus, broccoli etc. Just sauté them until they are tender crisp. And add them to the casserole along with the onions. May your Christmas table be full of scrumptious food and loved ones! You may want to pin this to your RECIPE or CHRISTMAS Pinterest board. 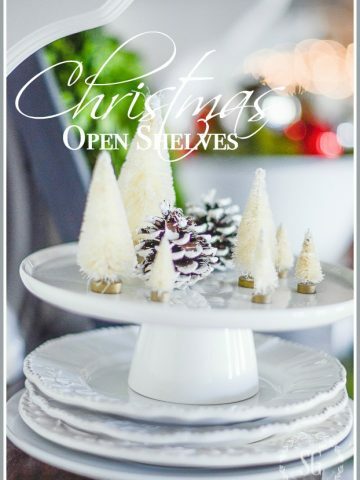 You can follow me on Pinterest HERE and see all the New Year things I am pinning! I know what you are going through with your ankle as I had the same three years ago and time is the only healer. Glad you have good help for this busy season. I hope you had time to prepare for this months food and baking and your freezer is full. I am going to make your Christmas Breakfast casserole as it sounds so good and I can make ahead. Have a great holiday! this dish looks amazing, and I can hardly wait to give it a try. It for sure will also be on our breakfast table for Christmas. Thank you! Great question, Bev. Any time eggs are beaten with milk it is called a custard. Don’t cook it. Pour it on with when the eggs are raw. That breakfast casserole looks so yummy! I can see why it has been a family tradition on Christmas morning for 25 years. Enjoy your breakfast meal, Merry Christmas! 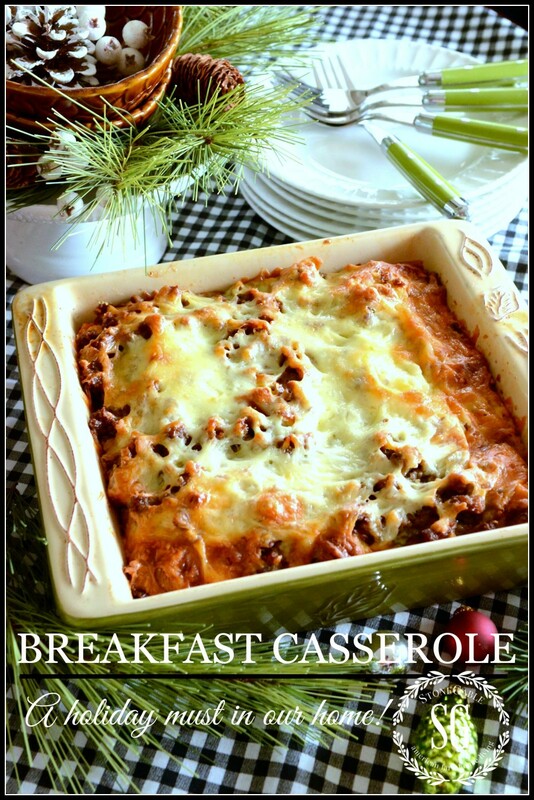 Thank you for sharing your breakfast casserole recipe Yvonne! I too have been making a Christmas casserole for family for decades and like yours, my family absolutely loves it! I have already started my casserole but I’ll remember to try using croissants next year. My recipe is very similar to yours but I thought I’d share the difference incase you’d like to try it. Mine starts with white bread slices (with crusts removed) that covers the bottom of a 9×13 pan. I then add cooked sausage and shredded cheese (variety of your choice). Top with another layer of bread (sort of like a sandwich). I whip 6 eggs, 2 c. cream and veggies (I use onions and green peppers) desired along with tobasco, dry mustard, worchester sauce and S&P. Pour over bread, squish down and let sit overnight. In the morning I add crushed corn flakes to the top along with a stick of melted butter. Bake 1 hour. Over the years I’ve tried ham and bacon instead of sausage. Everyone has their favorite. Adding croissants to mine will be over the top! Thank you again…..Merry Christmas! We absolutely love it, very simple and quite delicious! 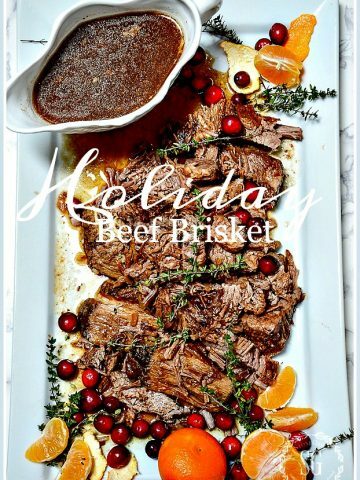 I serve it with a little bubbly, it’s a wonderful way to start our Christmas holiday! Good health, love, laughter and peace. ?? A very Merry Christmas, thank u for all the time and meaningful posts u share with us! Sounds absolutely delicious and I’d like to try this but sounds like an awful lot for just two. Could the recipe be halved? Hi Yvonne! Thanks for posting this…I’m considering making it for our family brunch this Christmas 2017 if we end up having a brunch! I didn’t see an answer to this question in the comments below, so I thought I’d ask again in case it just got missed: For the fresh baked croissants, do you bake them more in the oven (the 15 min. mentioned in the recipe) or does that only apply to unbaked croissants. Thanks and happiest of holidays to you and yours! I buy already baked croissants. I get mine from Costco. Then I cut them into chunks and bake them about 15 minutes in a 350 degree oven. What you are really doing is toasting them. Then they are ready to go into your breakfast casserole. Hi. I would love to make this! I have 11 coming for Christmas Eve brunch. Would this feed them all? Make it in a big casserole dish. You might want to double it.That’s what I do? Thank you. Cant wait to try it! Merry Christmas to you all from the UK. Hi Diane, I lived in England as a girl. I’m planning a trip there soon. I love the UK! God bless you! You had me at croissants! this will be our Christmas morning breakfast!! Thank you! Sounds scrumptious! Can’t wait to try it! You are my saving grace. My husband doesn’t care for breakfast casseroles. That is, he didn’t care for them until I made this one. Now I can join y’all and make my breakfast at night. Yeah! A good Christmas Breakfast recipe. Every year we travel to NC to enjoy Christmas with my mom. This will be great to have before we leave. This is a keeper for Christmas 2017. However, guest are still coming this week and I will make this for a large crowd. I hope you are recovering well. Take in everything you have done and are doing. Enjoy Gods Blessings. You give so much. I have two of your dishes on my menu today ! Breakfast casserole is in the oven now . Love the idea of buttery croissants ? in this dish. Can’t wait to try ! Also, your Caesar dressing I made yesterday for our salad today to go with our rustic lasagne – a combo of fire roasted tomato with a layer of alfredo sauce . Thank you for yummy new recipes to try ! Hope your ankle/foot is healing nicely & you can be spoiled & waited on this holiday. Merry Christmas to you & your family ! May Christ be born in each of us this Christmas . Because we need it as a nation……..we need him in this world ? Yvonne thank you for sharing this wonderful recipe! I wish you full recover, Merry Christmas & a Happy New Year! Croissants sound like a great change. I will be trying them in my casserole this year. Thank you for sharing! So sorry to hear about your surgery, sending prayers for a full and speedy recover! Thank you for the wonderful recipes, they all sound delicious. We are empty nesters and will be by ourselves for Christmas Eve and Christmas Day. I will plan to make the breakfast casserole for the two of us to have something a little special for our weekend brunch. Please take care and heal quickly! Merry Christmas! Speedy recovery ! &Merry Christmas & a Happy New Year! Our grandson loves croissants so this will be prepared sometime over the holidays. Looks yummy! This sounds wonderful. Can.t wait to try it with the family. 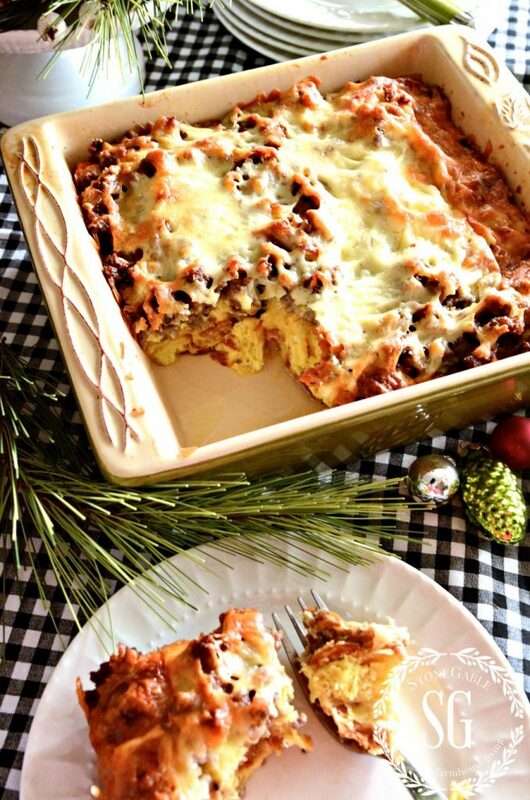 Just printed your Christmas Breakfast casserole as we will be having it for our Christmas Brunch! We are empty nesters now and we travel to the grand’s house to check out what Santa Claus brought and this will be perfect to take along and pop in the oven. It will bake while we open gifts and ready to dig in about time we are finished. Thanks again!!! Another great recipe of yours! Made this for Thanksgiving week company.. Such a huge hit! Am making for Christmas too! You make such pretty tables. This years Christmas one is one of my favorite. I saved the Christmas casserole, it also looks amazing. I cannot wait to make it for our Christmas brunch. I love that it can mixed the night before. Thanks for sharing your traditions with us and giving us great ideas. Merry Christmas to you and yours. Always enjoy your blog. Will make the new version for Christmas brunch. It does freeze if you have leftovers. But we never do! I would not freeze it and then bake it or warm it up. It’s so easy to make up the night ahead and take out of the frig and finish off in the oven the next morning. Can’t wait to try your Christmas casserole. We always have a family Christmas breakfast so I so appreciate your sharing. Your Christmas casserole sounds delicious. I’m going to try it right away. I also like the idea of brunch and a light supper rather than a huge mid day dinner. Since there are grown out of town children with their own families it might need to be on a different day than Christmas. Have you run into that problem? Thanks Yvonne for the delicious recipe! I’ll have family in town for Thanksgiving and this will be a nice treat for brunch the Sunday after Thanksgiving when everyone is al turkey end out! I can’t wait to try it and LOVE the yummy twist of using croissants! I am always looking for breakfast ideas as I usually prepare breakfast the night before . My family is always in a hurry in the mornings, so they do appreciate a grab and go type of meal. I have used many of your recipes and everyone has been so good. Like a previous commentor i need to know what you use for croissants…fresh or unbaked. I do want to make this but need this clarification, please. Hi Nancy, I use fresh baked croissants. This casserole is amazing! I made this casserole for my friends yesterday!!! it was sooooo good, they raved about it!! thanks for sharing, now if I could just find your Mac and cheese recipe, I have searched and searched your Pinterest site and can’t find it…. When you say to toast the croissants, do you mean that you buy fresh-baked croissants and them cook them *more* in the oven, or are you buying the tube of refrigerated croissant dough and baking those? I’m thinking the first option, but was a little unsure. Thanks! I have a very similar recipe only I use Jimmy Dean Spicy sausage in the tube. And I use Swiss cheese instead. 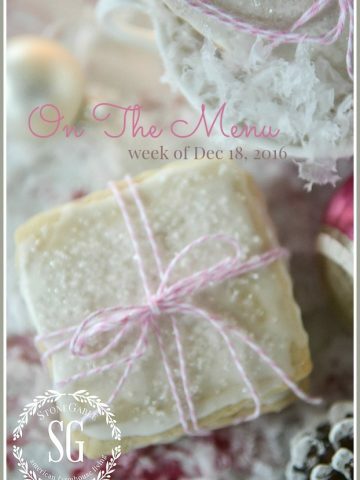 It’s a favorite of our family, in fact I’ll be making that for guests this week! This looks terrific–I’m sure the croissants would be wonderful, but do you have a recommendation if I had to use regular french bread or something similar instead? Just use enough to cover the bottom of the pan and about 1/3 the way up the side of the pan. I’ve made a variety of this for several years. Sounds yummy and will definitely make for New Year’s Day brunch. Thanks. Hi there! Thanks for sharing this recipe. Do you put this straight into oven cold from the refridgerator? Or do I need to let it come to room temp before baking? Either way. If you put it in the oven straight from the frig, make sure the pan can go from frig to oven. 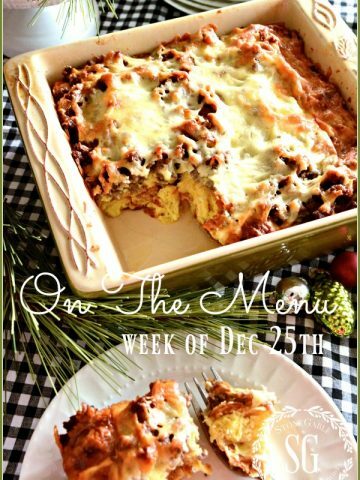 There is nothing like having a casserole all ready to pop in the oven on Christmas morning…thanks for the new recipe!…Looks wonderful! Wow. I make a breakfast casserole for Christmas morning as well- but YOWZA ! I never would have thought to use croissants! WOW wow wow is all I can say! I think I will try that idea with using my old standby recipe instead of using white bread that it calls for I will definitely substitute croissants! Sounds decadent and I can’t wait to try it! It looks Yummy and scrummy. Traditions in a family are special. Looks yummy!! What can you suggest to you Canadian followers that can not get Bob Evan’s sage sausage? Thanks in advance….and Merry Christmas! Hi Susan! I am very partial to Canadians! My wonderful brother-in-law comes from Winnipeg… and he is a winner! As far as the sausage… use a sage sausage. Use a pound of sausage… or a little more. We love it to cover the whole casserole! Thank you for sharing this amazing recipe. It was indeed a show stopper!!! Everyone loved it. Warmest Wishes of the season…. I am also from Canada… Just not sure what type of sausage I would use.. That looks so yummy!! Use a bulk sage sausage. So happy Susan!!! Merry Christmas!